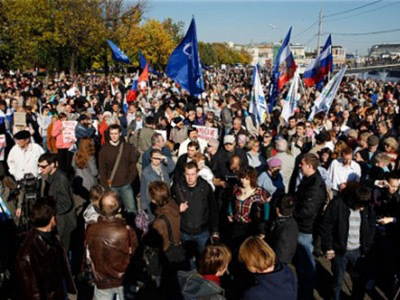 Moscow City authorities have given permission for a march and a rally of various groups of non-system opposition on May 6. The organizers say that about 5,000 people will attend the event, which they informally call a “March of millions”. The head of the city Regional Security Department, Aleksey Mayorov, told the press that his agency had given permission for a march along Yakimanka Street and a rally on Bolotnaya Square. The location is a major transport route that ends in the very center of the city, across the river from the Kremlin. 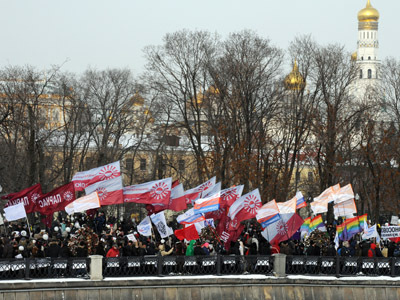 Bolotnaya Square also was the venue of the most numerous rallies in December last year, when the opposition held protests against alleges violations in the parliamentary poll. The May 6 protests are also aiming to draw attention to the alleged violations in the parliamentary and presidential polls. The date was chosen because it precedes the day of Vladimir Putin’s presidential inauguration. 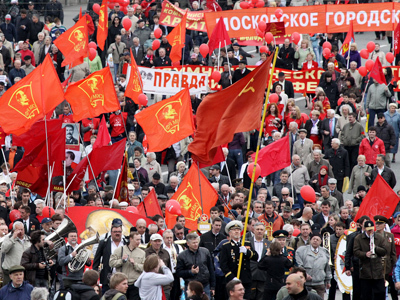 The day of the rally is also close to May 9 – the Russian national holiday celebrating victory against Nazi Germany – and this was the reason for the lengthy and complicated negotiations between the city authorities and the opposition. The former feared that the rally could disrupt a scheduled rehearsal of the military parade that will be using troops and heavy combat machines. 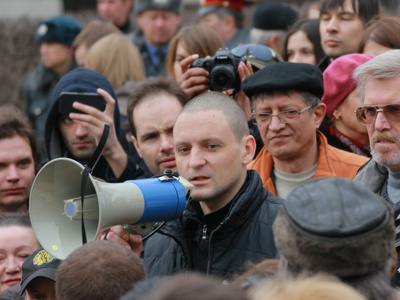 The head of the Left Front movement and one of the rally organizers, Sergey Udaltsov, has said that the expected turnout at the event was “up to 5,000” and added that the organizers were ready to pay a fine if more people turn up. The media has variously dubbed the event “People’s March”, “March of a Million” or even “March of Millions”. Udaltsov also told reporters that the agreement with the city authorities was a good thing. “We will have an opportunity to gather calmly, and then we will see what happens,” Interfax news agency quoted the activist as saying.